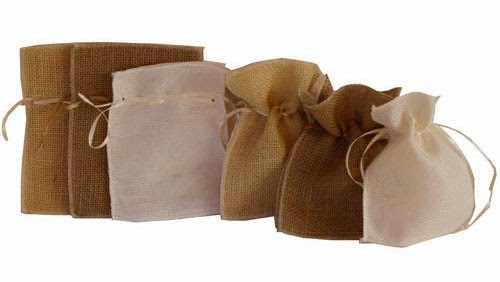 Not sure about you, but one of our favorite fabrics of the fall season is BURLAP! Burlap is such a pretty, natural texture with a homespun feel. 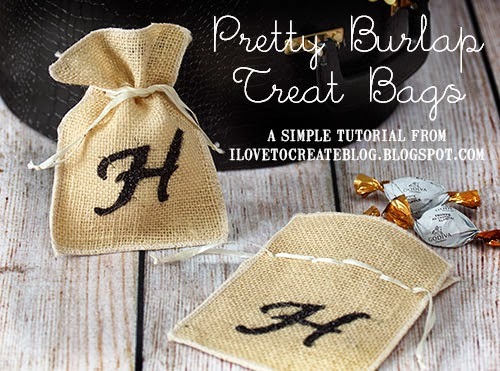 When we saw these pretty burlap treat bags from Jam Paper, we knew we had to make fun party treat favor sacks, perfect for our Bon Voyage-inspired party. Place cardboard inside bags. This will prevent Fashion Glitter Bond and Glitter from leaking onto the back of the bag. Now cut out desired monogram letter from stencil pack and apply to bag. Use sponge to apply Glitter Bond over letter. Sprinkle on glitter in stencil openings. Remove the stencil; let dry. These bags turned out lovely and so simple! 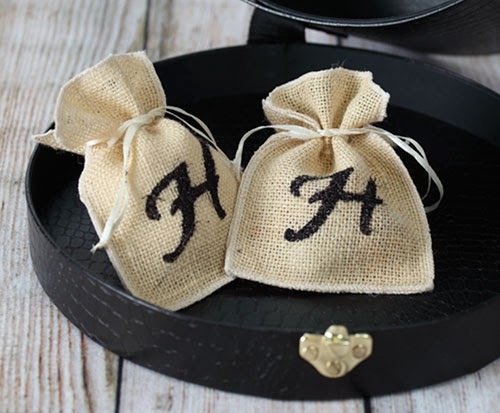 They'd also be great favor bags for a fall wedding! Fill them with candy or potpourri for a fragrant sachet! So elegant! 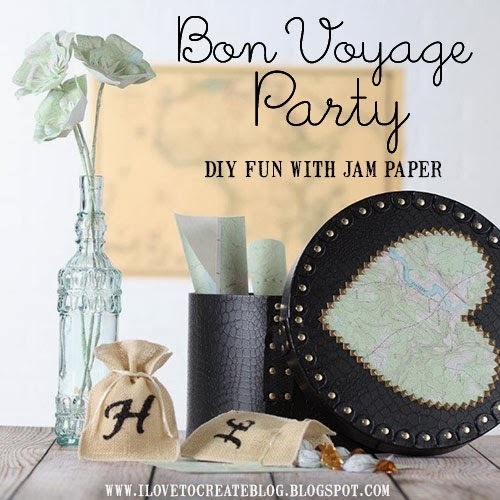 Check out our other Bon Voyage projects all this week featuring Jam Paper products! Yesterday we featured the map paper flowers and tomorrow we will share our Travel Momento Gift Box!